Cabbage is such a simple and versatile ingredient for the low caber, low in carbs at around 2 grams per cup, but can be a little plain and boring, this simple recipe will transform it into something quite interesting and tasty. Use this as a side dish to compliment your main meal, as a base for a stir fry or simply on its own. 1/4 head of cabbage, finely shredded and cored. In a frying pan fry the bacon in 1 tablespoon of butter until nice and crispy, remove and set aside. Add the onion and saute 2-3 minutes. Add the shredded cabbage and remaining butter and fry gently for about 10 minutes until the cabbage has wilted and has started to caramalise. 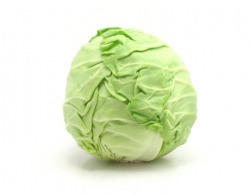 Cut the bacon rashers into small pieces and add back to the cabbage. Season to taste with a good dash of ground pepper and salt to taste. Simple delicious and quite satisfying.